The New York Art, Antique & Jewelry Show made its annual return to the Park Avenue Armory (643 Park Avenue) November 20-24, 2015. Presented by the Palm Beach Show Group, this important event will feature more than 80 international exhibitors, an engaging lecture series and exclusive interior designer led tours. As one of New York City’s longest running events, the show has become a hallmark in the city’s social season and has set a benchmark of excellence in the art, antique and jewelry industry. The show is known for bringing thousands of works of art and antiquities from domestic and international galleries, in addition to fabulous antique and estate jewels from many of the world’s elite jewelers. The New York Art, Antique & Jewelry Show boasts an enviable selection of antiquities and upon its return, will draw tens of thousands of private collectors, museum curators, art advisors and interior designers who are eager to view and purchase the unique, the rare and the one-of-a-kind. The Show kicked off with a Private Opening Night Preview Party for VIP guests on Friday, November 20. The Opening Night Preview Party draws attendees who love art, including museum curators, political dignitaries, collectors and the social elite. The invitation-only evening provides a first-look of the New York Art, Antique & Jewelry Show offerings before they are available to the public. Adding to the grandeur of the event, Le Cirque produced three distinct dining experiences for attendees at the show this year, including the iconic pop-up restaurant, the Le Cirque Brasserie. Limited private events and reservations are being accepted for this space throughout the show’s duration. The more than 30,000 items at the show will span every genre, juxtaposing many periods and movements. Visitors will have the opportunity to view and purchase fine art from across a broad spectrum of Old Masters, German Expressionist, 18th and 19th century European, American Regionalist, and Modern and Contemporary artists. They will also have the opportunity to view some of the world’s finest collections of silver, glass, textiles, sculpture, porcelain, Asian art, furniture, antique and estate jewelry and more. The 2015 show returns with an impressive list of leading international galleries, many of which will bring works never before seen in Palm Beach. BERKO Fine Paintings will feature Edmond Georges Grandjean’s “Official Parade to the Paris World Fair” from 1878. Geneva based Suzanne Syz Art Jewels, whose client list boasts Hollywood royalty, Elizabeth Taylor and aristocratic royalty alike, will showcase a one-of-a-kind 17.24 carat Pink Tourmaline ring. Specializing in Impressionist and Modern British paintings, Richard Green, will feature works by Renoir and New Orleans-based M.S. Rau Antiques will showcase rarities including Pope Paul VI’s 13 carat white diamond ring and gold cross. Author, design consultant and TODAY show contributor Susanna Salk will lead a guided tour through the show highlighting design elements and unique offerings of exhibitors at the show. Panel Discussion, presented by NYSID, featuring Ronald Bricke, Robert Couturier, Elizabeth Pyne, and Alberto Villabobos, moderated by NYSID faculty member, Judith Gura. Panel Discussion and exclusive unveiling of the best pieces at the show featuring renowned interior designers, Susanna Salk, Ellie Cullman, Campion Platt and Alex Papachristidis. 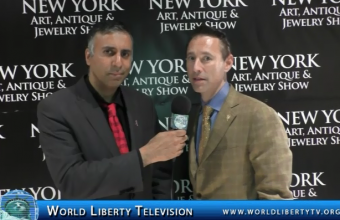 World Liberty TV, had the pleasure of interviewing Scott Diament, President and CEO of the Palm Beach Show Group, the organizer of New York Art, Antique and Jewelry Show-2015 , see it right here in our World Liberty TV, Luxury Channel. Each year ,the New York and New Jersey Minority Supplier Development Council’s Partnership Awards Gala recognizes achievements of stellar minority-owned firms and corporate members who have gone above and beyond the call of duty in creating rewarding business relationships. The effects of these relationships are felt nationwide from the creation of new jobs ,to the delivery of those services and goods that are strengthening our economy every day. Gayle king co-host of CBS This Morning and editor at large with the O Magazine served as the Master of the Ceremonies. Headed by Ms. Jeannie Maddox Chairperson NY & NJ MSDC and newly appointed President Mr Terrance Clark ,President and CEO of NY & NJ MSDC. 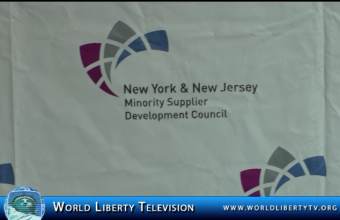 World Liberty TV, was on hand to cover this Corporate America event right here in our World Liberty TV, Business Channel . To recognize the contributions of the pioneers of the consumer electronics industry, CEA announced the first 50 inductees into its Consumer Electronics Hall of Fame at the 2000 International CES. Each year a new group of inventors, engineers, business leaders, retailers and journalists are inducted into the CE Hall of Fame. The CE Hall of Fame is an opportunity to honor the visionaries who have paved the way for the products and services that are changing the way we live. Individually, and in some cases together, these leaders have made significant contributions to the industry. Without them, the world would be a very different place. The 2015 CE Hall of Fame Dinner was be held at Gotham Hall in New York on November 9 in conjunction with CEA Innovate. Accessories have traditionally been viewed as the side dish or even an afterthought to major big-ticket consumer electronics products – the metaphorical fries to the burgers, the potatoes to the steak and the croutons to the salad. But as president and CEO of Recoton, Bob Borchardt helped elevate accessories to a genuine and necessary profit center for retailers. He also managed to grow his own company’s revenue from $3 million to just under $1 billion, establishing Recoton as a global leader in the CE industry. Home control via smartphones and tablets has become all the rage. But the idea of the modern connected home with integrated system controls for audio and video distribution, lighting, HVAC, home theater systems, intercom and video security was first conceived and brought to market by the fertile imagination of George Feldstein through the company he founded above a New Jersey delicatessen called Crestron. Noel Lee Founder, President & CEO, Monster Inc.
Noel Lee was born on Christmas Day in 1948 and has played Santa for thousands of electronics retailers by revolutionizing, if not outright inventing, the high-end accessory business and vastly increasing their revenue stream and profits. Via his establishment of the high-end audio then high-end video interconnection market, as well as the introduction of the Beats headphone line, the self-described “Head Monster” has been arguably the industry’s most enthusiastic proselytizer for improving consumers’ audio and video enjoyment. To say Wilfred Schwartz was a retail visionary is an understatement. In 1970, Schwartz founded the Federated Group, and opened the first deep discount consumer electronics (CE) superstore in the nation. Starting with one store, Schwartz grew Federated to 67 outlets all over the Southwest, becoming the most dominant CE retailer by establishing a new retail model. Successfully selling stereo equipment requires not only a Midas touch and a golden ear, but also a silver tongue, and Tom Campbell is imbued with all three. Starting out as the motor mouth for Cal Stereo’s radio ads in the 1970s, Campbell became a leading retail executive, technologist and industry evangelist, helping a series of consumer electronics (CE) retailers grow to unprecedented success. “Uncle Bernie” was how his employees referred to Bernie Mitchell, the first president of the U.S. division of Pioneer Electronics of America. Not only was Mitchell a beloved executive who would invite everyone in the company – office-workers, warehousemen, repairmen – to his home for a party, but also helped grow his company grow 100 fold in just a decade, establishing Pioneer’s formidable presence in the U.S. market. What constitutes “good” sound? Pioneering psychoacoustic scientist Dr. Floyd Toole was able to identify the technical loudspeaker measurements correlating with what listeners identified as “good” sound in double-blind testing. As a result of his work, many speaker makers changed how they designed their wares, and his measurement methods have been codified into an industry standard. 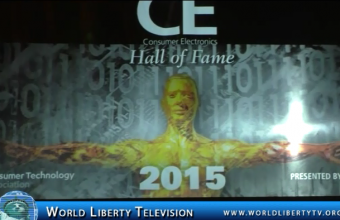 World Liberty TV,Team was on hand to cover these legends and Pioneers of Technology ,see more in our World Liberty TV, Technology Channel . 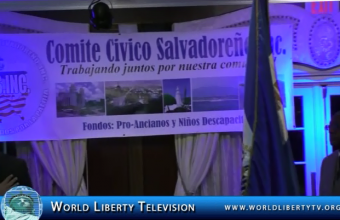 Comitte Civico Salvadoreno Inc, headed by its President Vivian Pereira ,based in Hempstead Long Island, New York. During February 2015, Comite Civico Salvadoreno Inc, donated sewing machines,food for 75 families and wheel chairs in different cities and villages of El Salvador. Comite Civico Salvadoreno Inc, is an non-profit organization and its mission is of Charity and Goodwill ,dedicated in assisting neighboring community in El Salvador by providing wheelchairs to handicapped elderly and children. The Organization also works with young children and promotes cultural programs and also participates in “Desfile De La Hispanidad” parade on 5th Ave in Manhattan,New York. Mayor Wayne J.Hall Sr Of Hempstead Long Island, New York ,Edward P.Mangano County Executive of Long Island,New York, Reuben i.Zamora ,Ambassador of El Salvador and many more Community leaders were honored.